He had realized he did not know Japanese culture even though he was Japanese while traveling in Europe when he was a student. 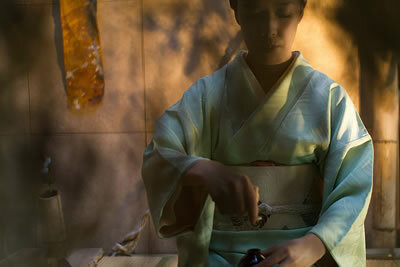 After coming back to Japan, he started to learn the tea ceremony. 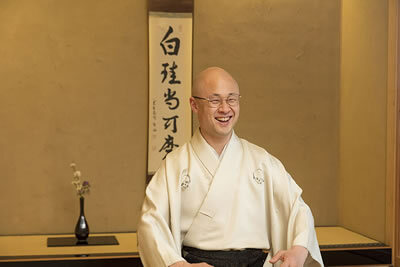 As “SHUHALLY Project”, he runs his tea ceremony school and holds tea parties, whose motto is “Make the tea ceremony freer, more enjoyable”. 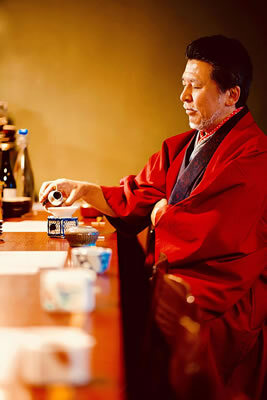 He creates his own style adding to ingenuity suitable for modern times while keeping the basic of the tea ceremony. He has been invited and produced the tea parties in 10 overseas countries and prime minister’s residence. He is willing to collaborate with other genres such as contemporary art, dance, beatboxing, and manga. His original tea room “BUN SAI AN”, named by Zabousai (the16th head of Urasenke school), won GOOD DESIGN AWARD. Born in 1992, Aichi. Graduated from the graduate school of International Christian University, Tokyo, Japan. She calls herself “teaist”. She gained a master degree in Cultural Anthropology of contemporary tea practitioners who make tea outside of tea ceremony schools. The master thesis was published in the academic journal, “Asian Culture Studies”. She has also published the full text of the thesis online, which is still read. She has energetically maintained out of the tea ceremony world: Such as tea serving to the minister of Reconstruction Agency, she has held tea parties with tea bowls made by “Virtual Roquro” (Only pottery wheel system with a motion sensor and a 3D printer). Through studying current tea practitioners and daily tea photos taken at home, she keeps saying “This is also tea” as her lifework. She was engaged in an IT company as a project manager while keeping to upload her own tea online, but she decided to change the place to show her tea: She started to belong to PAKUPAKUAN in March 2019. 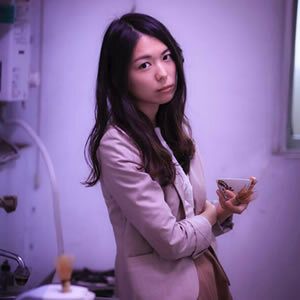 Based on one of the themes of her master’s thesis, “Making tea while working”, she aims to be one of the case study of office worker as a “teaist” by herself. She is totally not interested in asserting “This is just the tea”, and always keeps saying “This is ALSO tea” while seeking new ways of tea not only matcha. One partakes of matcha as the essence of nature, in order to awaken one’s consciousness to an experience of freedom. 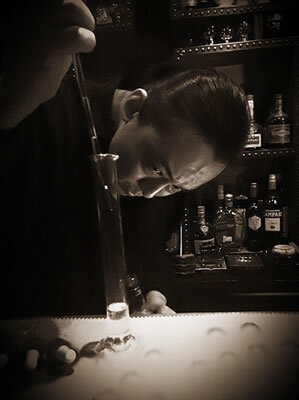 Master Denda continues to pursue the shinshu souzui (心手相随) style of tea, in which heart and hand unite in the moment of tea. Following an extended stay in New York during which time she received the inspirational message to enjoy life, in 2004 Kyoko Myokyo Denda presided over the creation in Tokyo of a practice space to enjoy tea ceremony (chanoyu) on a daily basis. In addition, she became involved in hosting chanoyu gatherings both in Japan and overseas as a member of Okabie, the style-transcending initiative founded by the late interior designer Shigeru Uchida. In 2008, at the G8 Hokkaido Toyako Summit, she held the role of presenter for the “Earth Tearoom Space” inside the press centre. In 2010, she hosted a number of casual chanoyu gatherings, under such themes as “Wabi, sabi: An adorable tea girl’s day off” and “Picnics for adults”. In 2011, with a view to supporting recovery efforts following the Tohoku earthquake and tsunami, she participated in a number of events, including “ Chanoyu charity LOVE” and “The power of traditional culture”. From 2011 to the present, she has conducted close to 50 tea ceremony workshops in Japan and overseas, giving people the opportunity to learn the basic aspects of tea in a tabletop setting. 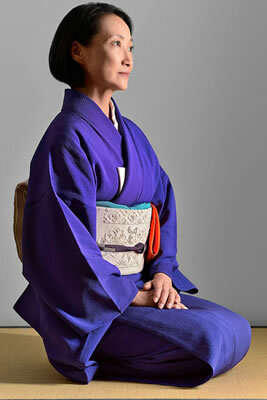 She is currently involved in producing “tea boxes” to enjoy chanoyu outdoors in a mindful way. She promotes matcha as the essence of nature, as an opportunity for people to align their breath and accept themselves just as they are in that moment.